That DP6 has a function to use full screen with video recording, at least that is a function working with Canon 5D-II and I wonder if that still works with K-5. So they have no black bars, not top/bottom and not to the sides. Just full screen use. But I remember that there was also a firmware change for the camera's to do that. Don't need a dry ice machine. 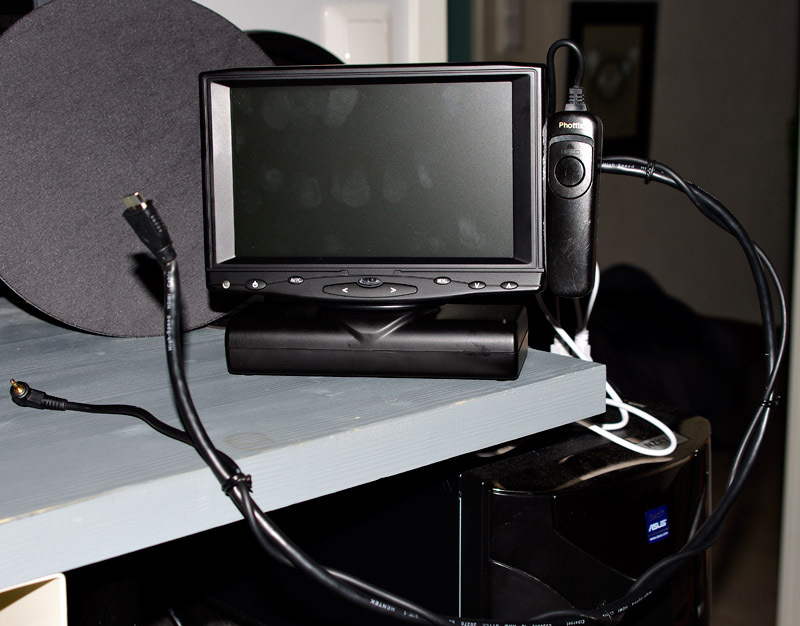 As other have already said, the onboard monitor is automatically switched off when you use an HDMI field monitor. So actually the cam doesn't heat up or nor will the battery run out. So LiveView use is measured in hours rather than minutes with the only limitation being whether you have a spare battery charged up for the field monitor. With the normal use of LiveView does the heat issue originate from extended use of the sensor (ie the sensor heating up) or extended use of the rear display (ie the display heating up)? Or both? Just judging by the fact that these smallHD monitors get very very hot during extended use, seems to me that the monitor on the back of the cam is probably the likelier culprit? I'll test it, I can pull off temp. data in EXIF and compare temp with and without field monitor. This is not true. The camera even heats up when you just use it as a player and view pictures/movie on the external screen. When using moviemode, the camera does heat up. Also energy consumed with HDMI is hi, since it doesn't walk on it's own to the external screen. Since I do not shoot movies but stills, this heating is not an big issue. I will use this "live view external set up" only short periods, max five to ten minutes or so. According my tests, camera power consumption was lower when using external view. My K-5 drains its batteries quite quicly when using live view and shooting. This didnt happen when I tested this set up using my desktop screen. Battery gauge showed full battery all the test period. With internal screen, it normally drops very quickly. Harold, this external LCD sounds like a great idea, with many possible uses. Please let us know how well it works out! A clarification, please. When using off-camera HDMI, is the signal diverted away from the LV screen to the external screen or is it merely duplicated on both? If the signal is diverted away from the LV screen, the heat sensor should not be sensing any increase in temperature to shut down the LV. Why do you say that? Isn't the heat due to the recording and not the LCD being on? If you use LV in place of the viewfinder you will before too long see a "red thermometer icon "...I figure it's time to give it a short break. and no-one can buy it up to today. I know people can buy it at b&h or amazon. overhere in the Netherlands at the time this item is not for sale. I bought an 70 cm HDMi cable and wrapped it together with an remote control. In the picture is the creen and the remote control and the combined cable. That why I choose my screen, more expensive but in the back there is a built-in battery. I wonder how it works.